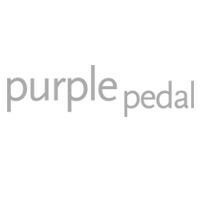 Start taking classes at Purple Pedal and other studios! This boutique cycling studio offers many classes per week for all levels; locker rooms with showers; ample ] parking; and spin shoe and towel services. There are no upcoming “$10 Cycle” classes on this day. Please bring spin shoes (SPD or Look Delta) and a towel for the shower. The studio rents and sells shoes, provides hand towel, rents bath towel, and sells water. Fun and a good work out ! I’ve taken a lot of cycling classes with most of the instructors and he was the most low energy of them. He is not challenging and his instructions during the cycling were very low volume that the panting from someone else didn’t let me hear (I was in the front row). He is not a reflection of the whole studio though! So try out another instructor before judging the place! Loved that the monitor made you challenge yourself. Great workout if you motivate yourself to push hard. No weights. Music was alright, wish there was more pop / rap. Instructor was off the bike a good amount of the time. Her music is great and she is challenging!!! GREAT CLASS! Ehh. Kept messing up or missing some of the cues and fiddling with the volume of the music. Otherwise the routine was good just needed to fine tune.